When: Saturday January 21, 10:00 a.m. – 2:00 p.m.
Where: Bailey Cove Library, 1409 Weatherly Plaza SE in Huntsville. 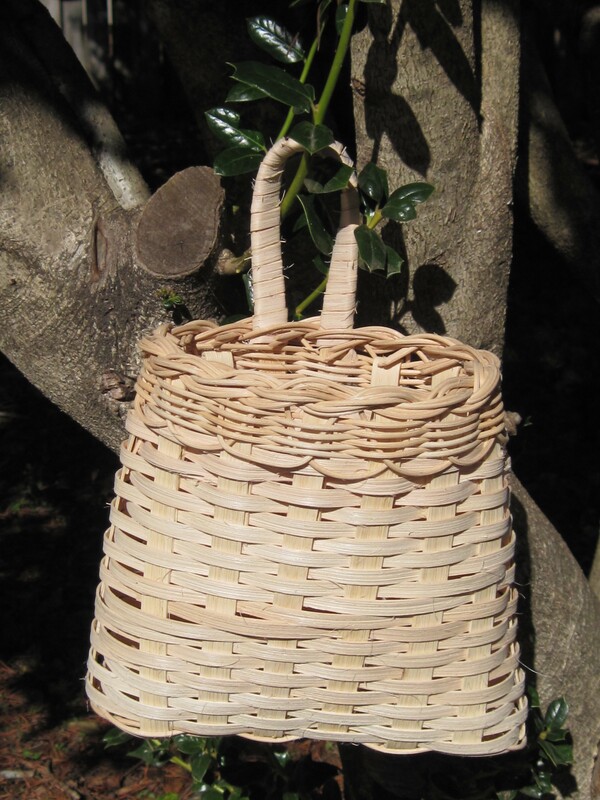 We will weave a pocket basket for small tools, mail or “weeds,” about 8 inches wide x 7 inches tall x 2 inches deep with a handle on one side to hang on your spinning wheel, loom or the wall. Learn how to handle reed, and how to shape a basket. No basket making experience is required. Bring a towel (basket making is wet work) and sack lunch, and wear comfortable clothes. The instructor will bring all the tools and other supplies you’ll need to use during the workshop. There will be a $5 supply fee, due at the beginning of the workshop. Adults and youth ages 14 and up are invited.